She Writes Press, 9781631525711, 288pp. The Parrot's Perch opens in 2013, when Karen Keilt, age sixty, receives an invitation to testify at the Brazilian National Truth Commission at the UN in New York. The email sparks memories of her "previous life"--the one she has kept safely bottled up for more than thirty-seven years. Hopeful of helping to raise awareness about ongoing human rights violations in Brazil, she wants to testify, but she anguishes over reliving the horrific events of her youth. In the pages that follow, Keilt tells the story of her life in Brazil--from her exclusive, upper-class lifestyle and dreams of Olympic medals to her turmoil-filled youth. 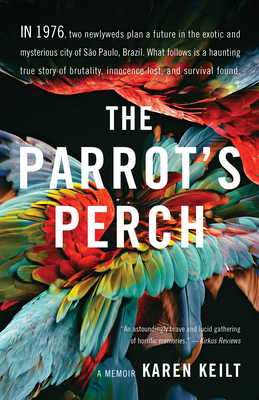 Full of hints of a dark oligarchy in Brazil, corruption, crime, and military interference, The Parrot's Perch is a searing, sometimes shocking true tale of suffering, struggle--and survival.